...like this large bear did here. Our bear monitors were alert and kept us safe. The Bear Monitors at the Torngat Mountains Base Camp in northern Labrador, Canada, are armed to guard against black bears and polars bears who roam freely on Rose Island. 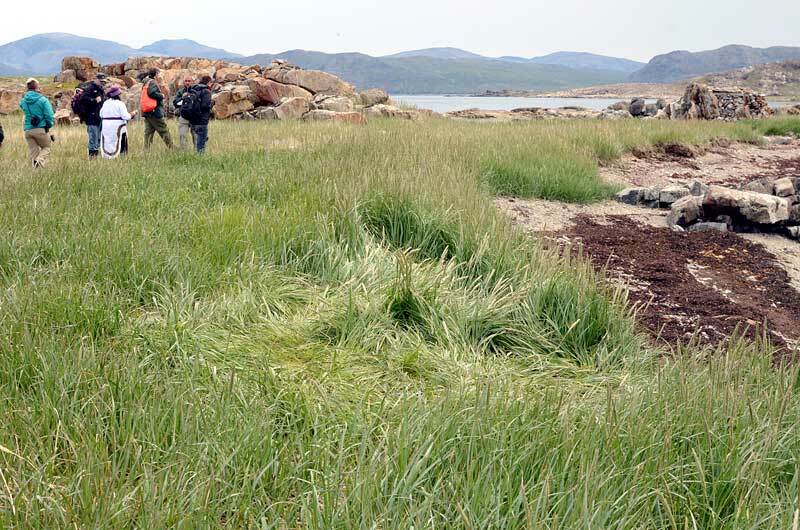 Here, from the crushed-down grass, we could see the size of the mother polar bear who was close by with her two cubs.